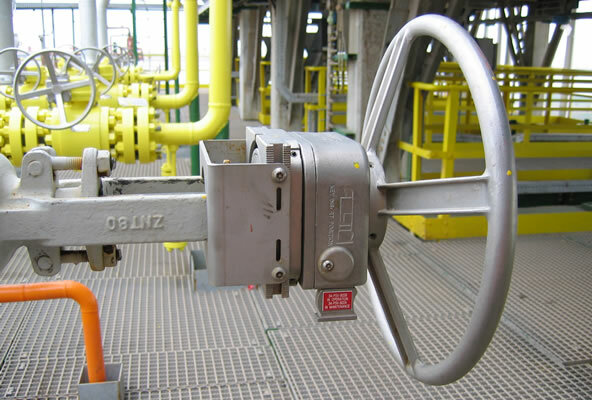 The MRL valve interlock fits any type of hand wheel or gear operated valves. A mechanical counter registers open and closed position of the valve. Keys are only released in fully open or fully closed position. The valve interlock replaces the original valve hand wheel. No periodic maintenance is required. For setting the open and closed position, it is required to fully open and fully close the valve. MRL can be mounted on each size of valve, however to a maximum drivebush diameter of 82 mm. Above that size, a customized interlock is provided.